After years of motorsports inactivity, Acura is making a big push to gain race wins for the brand in IMSA GT Daytona class competition. 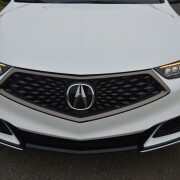 In their first year of combat in this very tough class, the new Acura NSX posted back-to-back wins in the hands of Andy Lally and Katherine Legg over Audi’s R8, Porsche’s 911, Mercedes’ AMG and Ferrari’s 488. 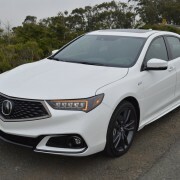 The corporate bosses at Acura are hoping the halo effect from NSX success will rub off on their more prosaic and much less expensive line of sedans, like the newly reconfigured TLX A-Spec we recently drove for a week. 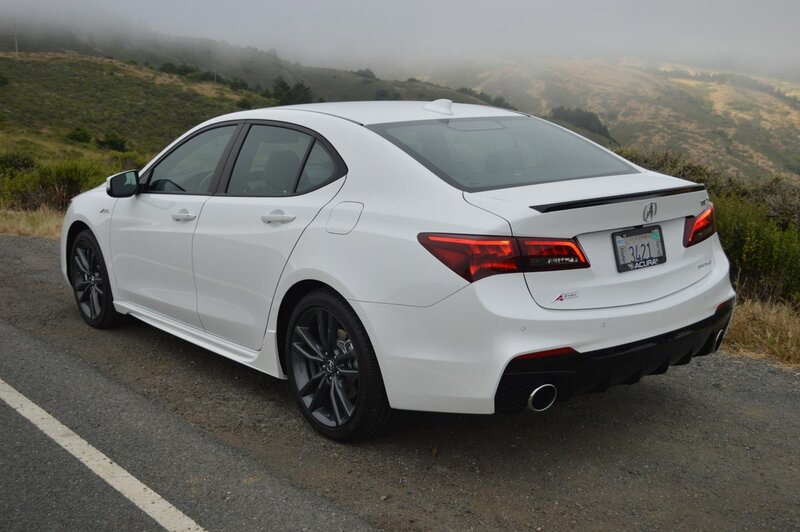 Acura thankfully revamped the exterior look of the old TLX, which has been steadily losing sales since the beginning of 2017. 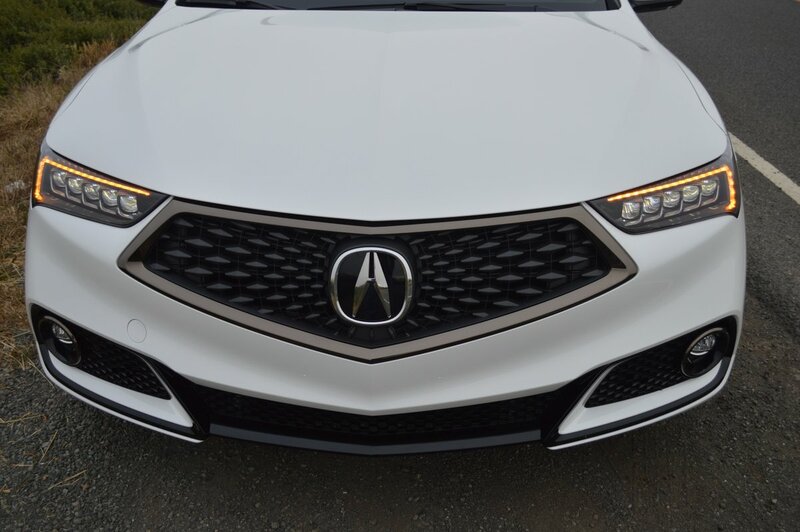 In a successful effort to freshen its appearance, they remodeled the tiresome bird beak grill which has marred Acura front ends since 2009. 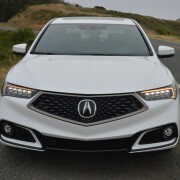 The new frontal look comes direct from the show circuit, where Acura presented a “Precision Concept” sedan in 2016 with a grill featuring hexagonal shields that appear to be moving when they are not. The frontal redo is quite entertaining, and the rest of the redesign does not let you down. 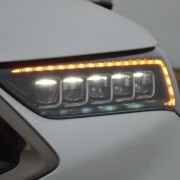 Outlined LED turn signals surround Jewel-eyed headlamps above the new grill. 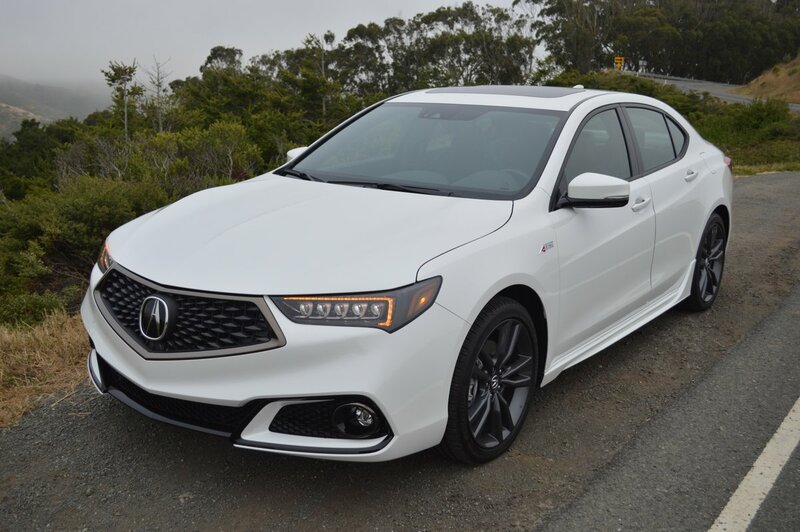 Intriguing power bulges surface the hood, and a conspicuous beltline crease rises from the front fender to a point just below the rear door handle. 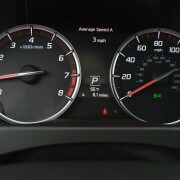 This character line imparts a fluid sense of motion to even a stationary TLX. 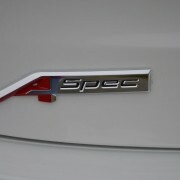 If you opt for the A-Spec package, more goodies are in store. That kaleidoscope grill is blacked out, along with a lower valence that contains inset driving lights that look like they’ve been daubed with mascara. 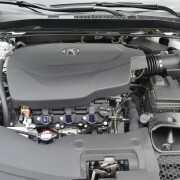 The dramatic effect continues at the back, where a lower skirt beneath the bumper contains a series of vanes to help evacuate rushing air from underneath the body. 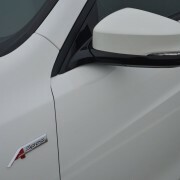 A quartet of prominent chrome exhaust tips underline the rear guard. 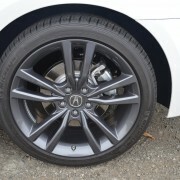 Color keyed rocker skirts make the TLX look longer and lower than it really is, while tasty 19 inch alloys finished in gunmetal gray, mount 245/40R19 Michelin MXM4 Primacy tires at all 4 corners. 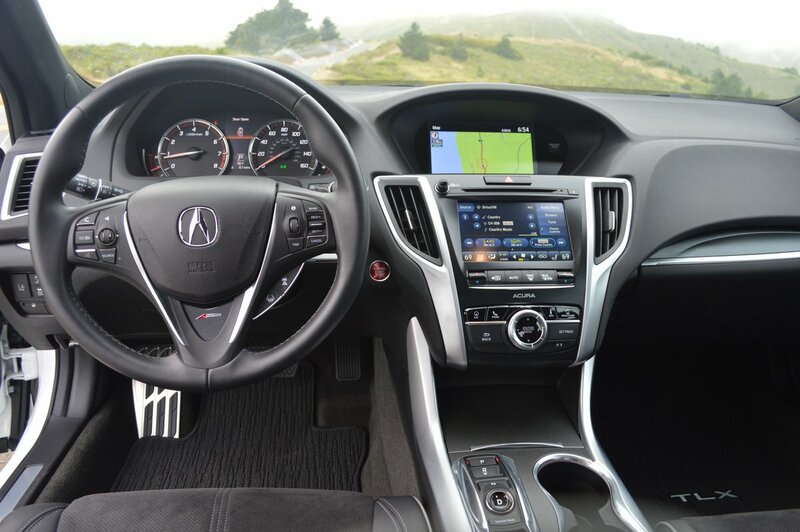 Inside the cabin, Acura has spiced up the proceedings with their interpretation of sport front seats. These overstuffed lounge chairs are more Barca-lounger than Recaro, however. 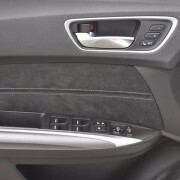 They aren’t particularly retentive under cornering duress, but they certainly look sporty, with their contrasting piping and multiple pleats. 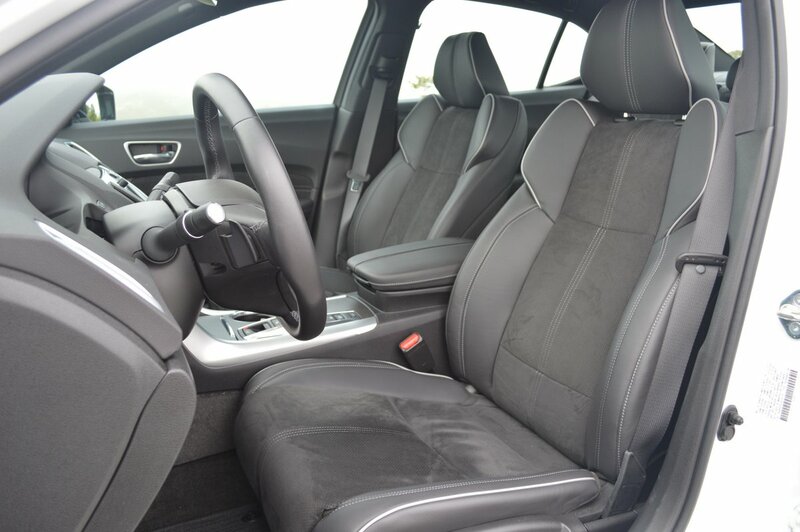 The rear seats lack any pretense at sportiness, and their flaccid belt receptacles make fastening you safety harness more of a challenge than it should be. 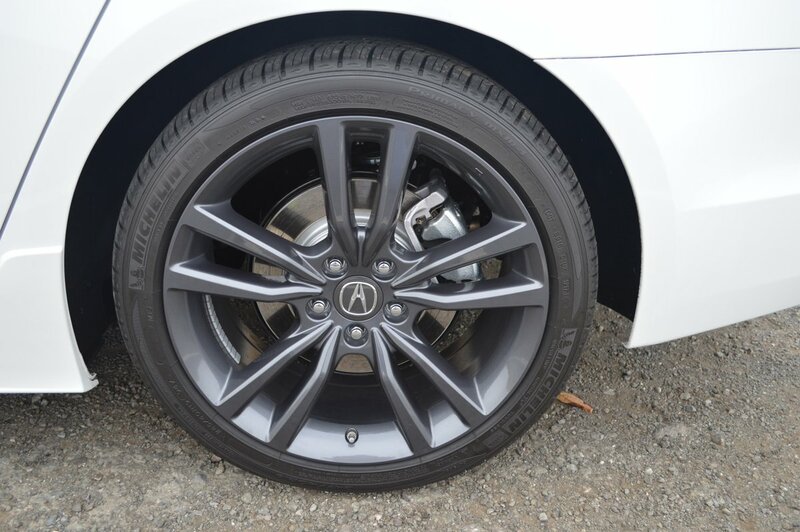 Our test model included virtually everything Acura can throw into the TLX A-Spec mix. 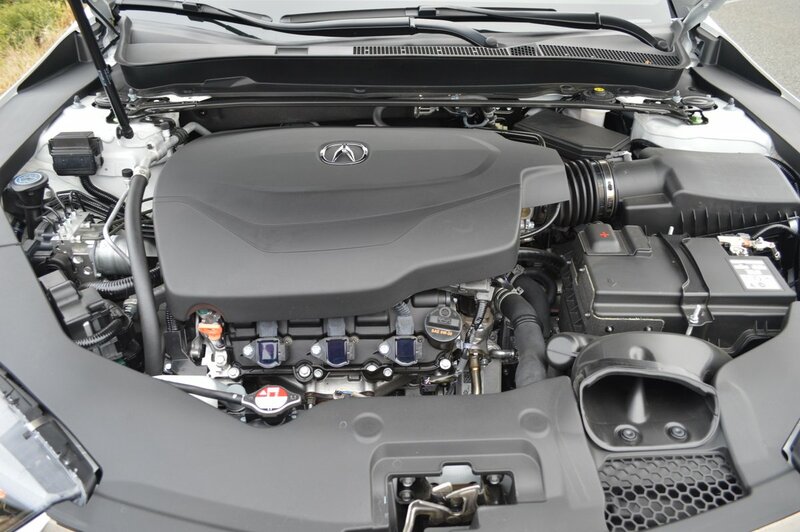 Along with all-wheel drive (or SH-AWD in Acura-speak) comes a creamy gem of a V6 motor attached to a 9-speed automatic transmission. 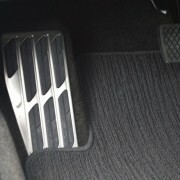 The paddle shift equipped gearbox run through its gears in such short order that you barely realize it has shifted at all. 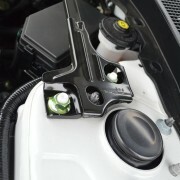 Unfortunately, the piddling paddles look and feel like cereal box premiums. 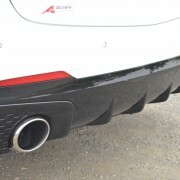 The 290hp V6 provides authoritative poke when you tromp the accelerator, and a very mellifluous soundtrack through those trumpets below the diffuser. 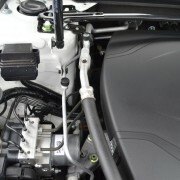 Steering feedback from the low profile Michelins is solid and informative, and the ride and reactions of the A-Spec can be tailored to taste via a command control button on the center console for economy, normal, sport and sport plus modes of driving. If you chose sport plus, you will find the steering akin to rowing an oar in molasses. 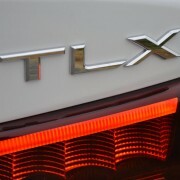 If you live where the roads are not always smooth, the TLX A-Spec will be the first to let you know their deteriorated condition. I spent too long pulling passenger duty in the back seat, where every crease in the pavement sent me bouncing aloft. 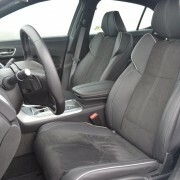 The situation is much better in the front seats, where all that stuffing dampens the pogo pitch. 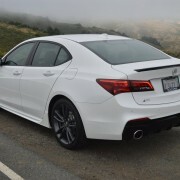 Another source of irritation is the button farm Acura has decided to institute across their entire model range to control transmission shifts. 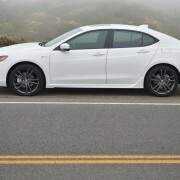 Instead of the reliable, old-school stick with detents, the TLX requires you to evaluate a daunting array of slides, lifts and pushes every time you hope to effect a gear change. 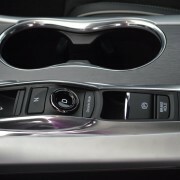 It’s completely unnecessary technology that doesn’t even save space on the center console for other purposes.